Loerie chalet is a self-catering, fully equipped chalet in the woodland , that sleeps two/three people for getting away from the hassle & bustle. Indoor fireplace and outdoor Romantic bonfire overlooking the mountains. Full bedroom, big lounge and open plan kitchen. Big bathroom with corner bath and view. The Loerie chalet accommodation in Woodland Gardens offers comfort and convenience. Lourie is a self catering fully equipped deluxe chalet. It has a separate bedroom from an open plan lounge/kitchen. Full bedroom with a King size bed and quality mattress, bedside tables and lamps, wardrobe, en suite toilet, sky light and big bay windows overlooking the beautiful Magaliesburg mountains. Big lounge With Sleeper couch, romantic wood fireplace, 2 arm chairs, coffee table and a 32″ flat screen TV, DVD player + DSTV capable. ( Please bring your own DSTV decoder, smart card, rca cables and remote control ). Fully equipped kitchen with tall fridge, microwave, gas stove, kettle, toaster, cutlery, crockery and a dining table with chairs. Stunning bathroom with double basins and corner bath with mountain view.Outside is a big veranda with a built in braai place, table and chairs.Private Bon fire area overlooking the mountains, all surrounded by woodland gardens. Wood and coal ( coal – for fireplace ) are sold on the property. You also have your own car port. Braai: Please bring own charcoal & firelighters. Arrival time anywhere from 1 p.m. to 6 p.m. when gates are locked, after p.m. check in by arrangement only. * Remember to bring any balance outstanding in cash on arrival as we do not have Credit Card facilities with our iffy internet connections! *R 50.00 Key deposit & R 150.00 damage deposit (R 250.00 big group deposit) to be on arrival, refundable on check out at reception. * The TV does not work without a decoder, card, remote, so please remember to pack those if you wish to watch TV, there is a satellite dish connected, so its plug and play! Otherwise there is a DVD player for movies if you wish. * We recommend bringing: CD player ( DVD`s ), swim towels, braai charcoal & firelighters, matches, Groceries ,spices, coffee, milk & drinks. * Self-catering, equipped chalets, bring Primary Decoder, cables, Smart card and remote. 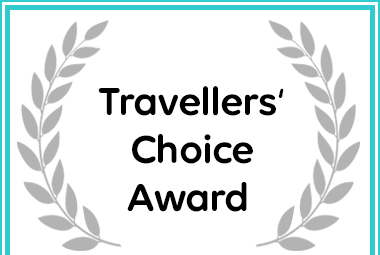 Woodland Gardens in Magaliesburg received a Travellers' Choice Award. © 2019 Copyright by WoodlandGardens.co.za All rights reserved.